Let the Russians do as they please! This roll call vote in the US Senate says so much about the values and allegiances of our two senators from North Carolina. Doesn't matter any more to Burr and Tillis, because Trump now wants those sanctions lifted because Trump owes Putin. 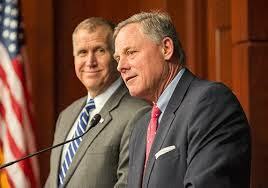 Who do Burr and Tillis owe? Burr and Tillis owe--the NRA.